Their nests are so bare. 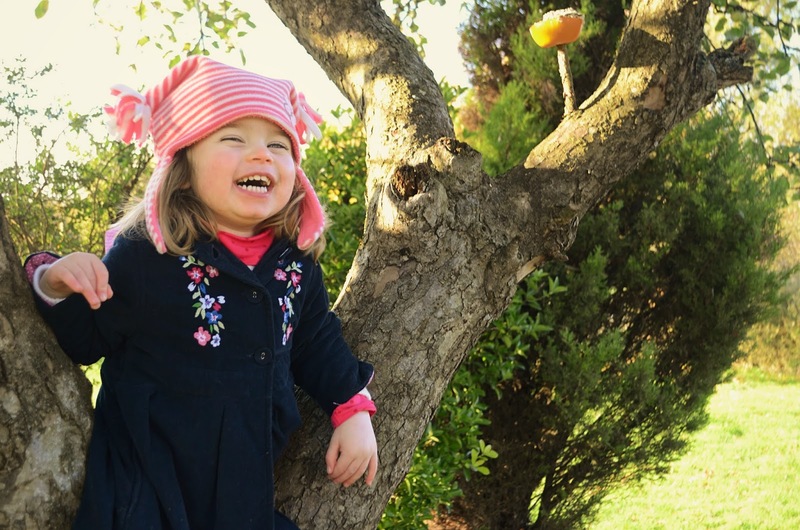 This Thanksgiving, as Ouisie is almost three years old, I talked to my daughter about being thankful and the importance of helping those in need. 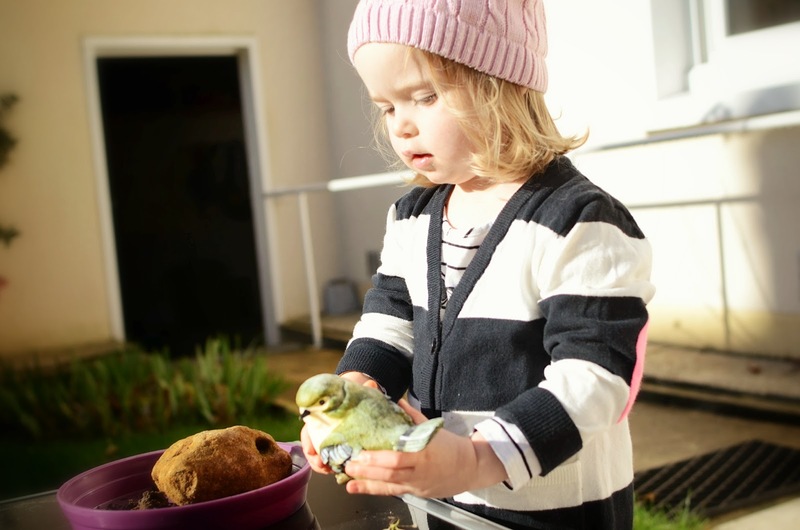 In my parenting book, being grateful and giving back are two priceless life lessons for a child to live by.With the winter days growing shorter and colder, I explained how many animals have to work harder to forage their food. 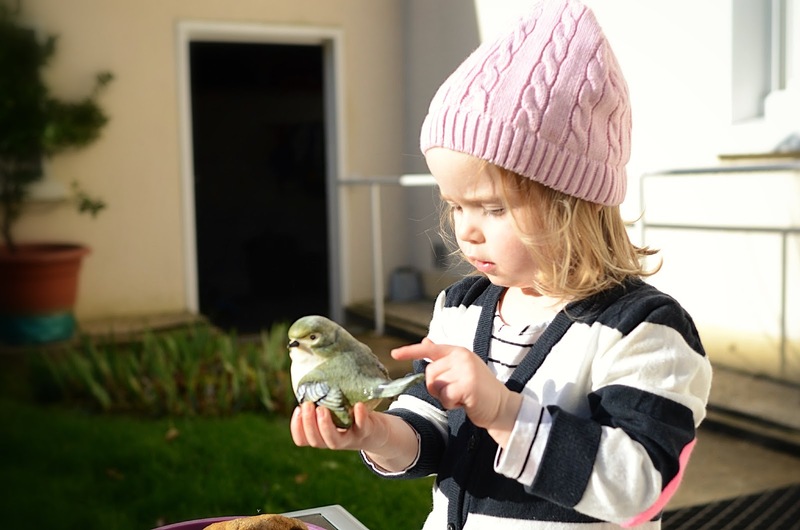 I then explained that we could help feed the birds and squirrels that come to our garden. We discussed what foods the birds and squirrels would enjoy eating and rummaged through the kitchen cabinets looking for food supplies. I found her enthusiasm the most endearing part of the lesson. As I prepared the craft, I enjoyed listening to her create stories about a mommy bird taking some of the feed to the hungry baby bird. The mommy bird was so happy for our help. 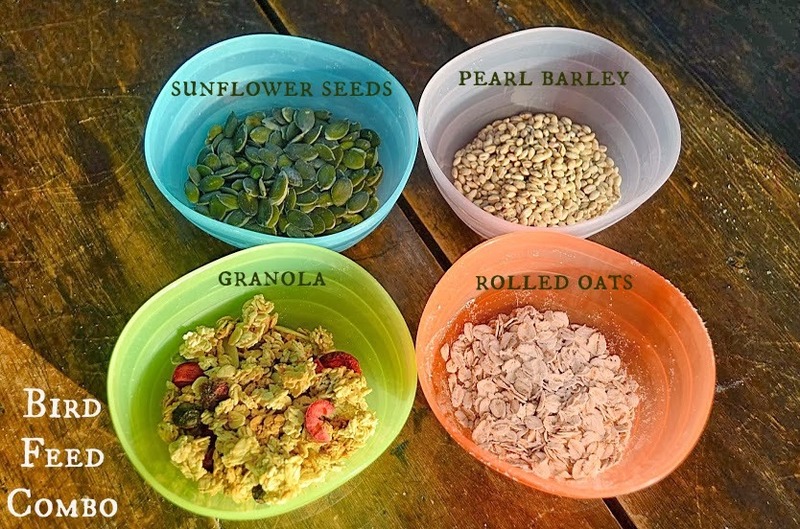 Around Pinterest there are some really great ideas for homemade bird feeders. 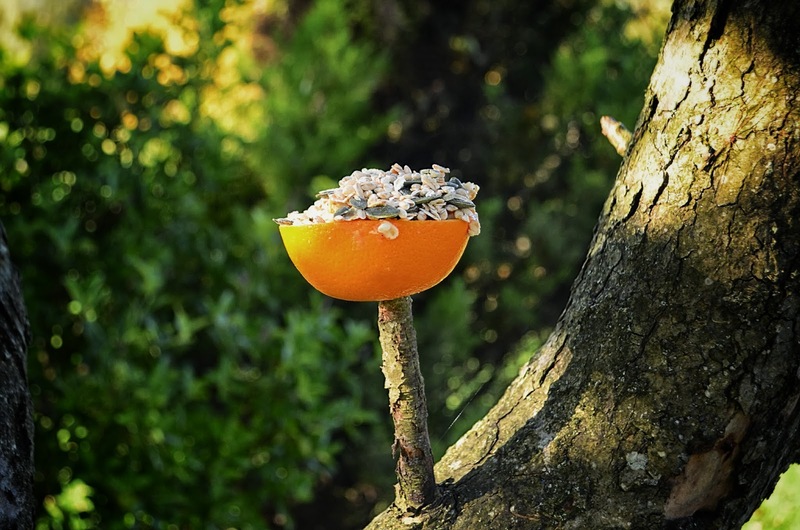 The inspiration for these orange cup bird feeders came from blogger Jackie of Happy Hooligans. Her blog is a great resource for pre-school arts n’ crafts. 1. 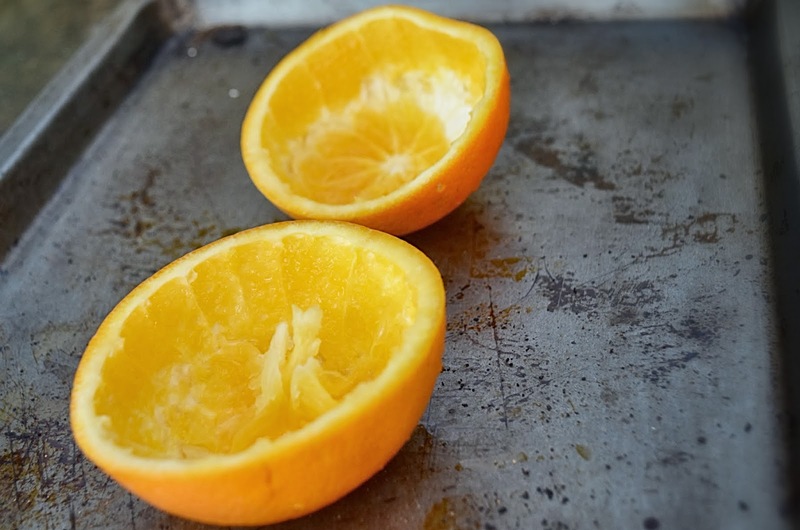 Clean oranges (1-2 halves of an orange per child). 2. Cut small ‘x’ through the base of each orange (for securing by twig in garden). 3. Arrange orange halves on the cooking sheet and set aside. 4. 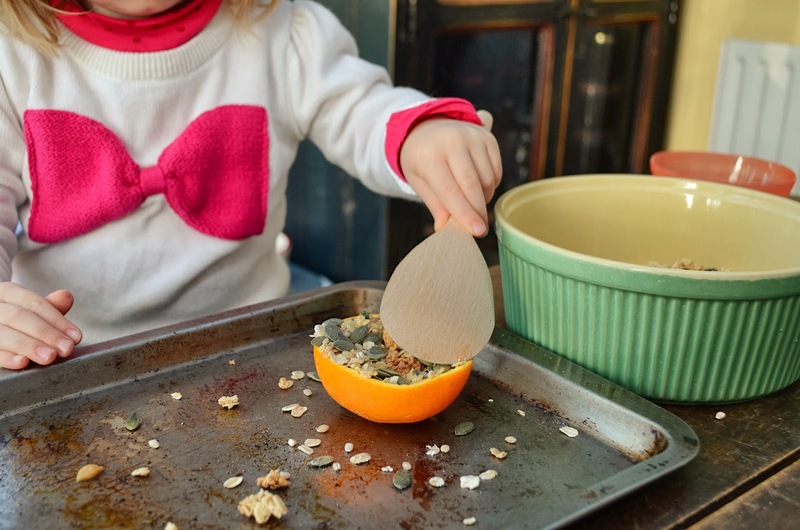 Divide up feed ingredients into small bowls and allow the child to pour into a shallow dish and mix with hands or spoons. 5. Heat 3 Tablespoons of peanut butter with 2 Tablespoons of cooking grease (or butter) on low heat. Heat until peanut butter and grease are liquid, stirring regularly. 6. 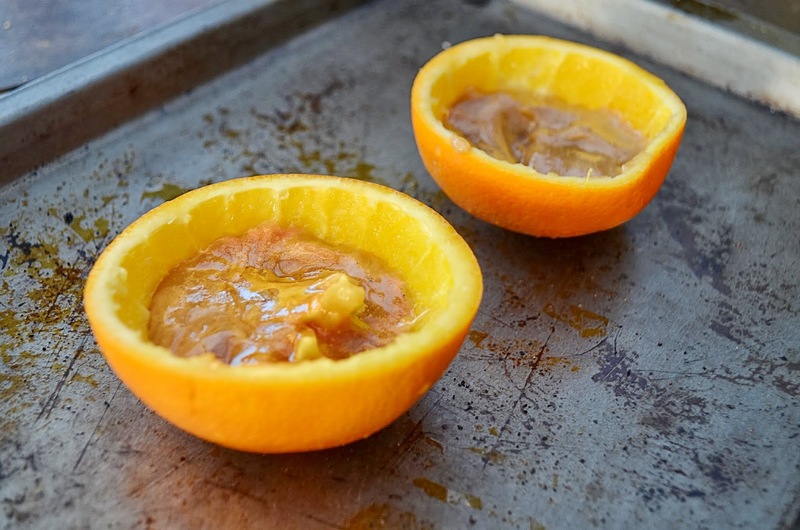 Fill the base of each orange cup with peanut butter mixture. 7. 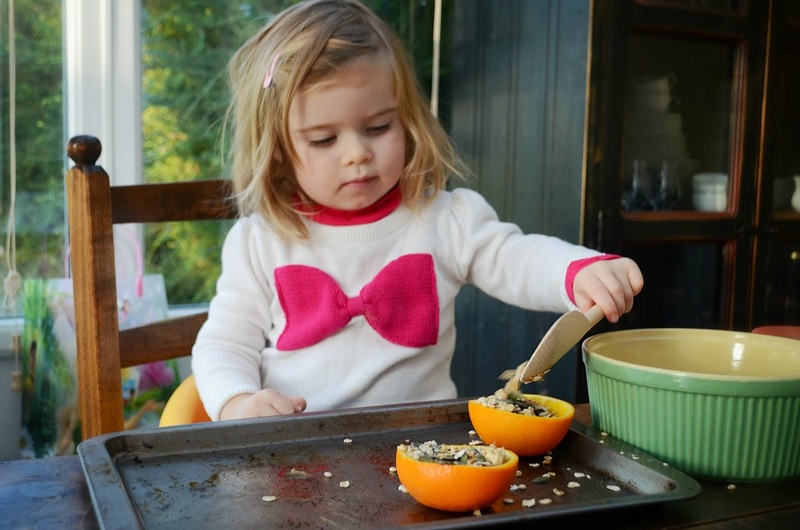 Ask the child to fill the orange cup with bird feed. 8. Dollop extra peanut butter mixture on top of each feeder to help bird feed stick in place. 9. Secure to tree branches or sturdy twigs in garden. Keep an eye on the feeders for your 1st grateful diner! 1. 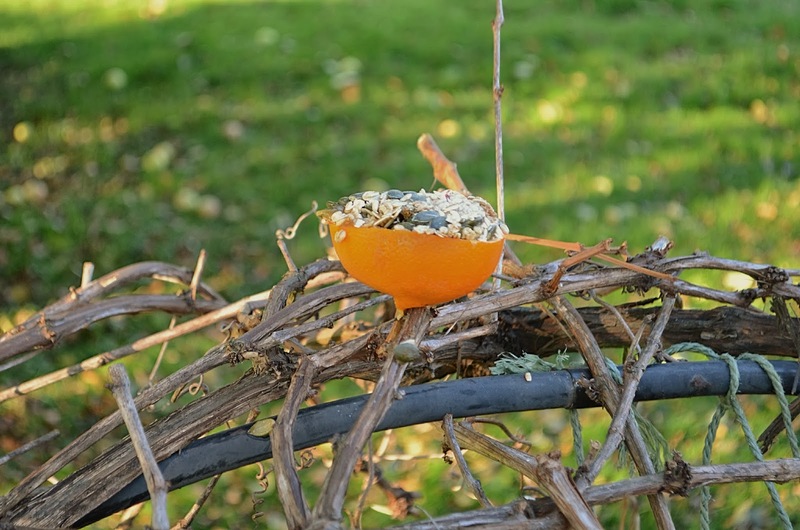 Make the hole in the orange before filling with bird feed. I did not– and had sticky bird feed spilling all over us while trying to mount feeders on twigs in the garden! 2. Ensure oranges are secure to sustain winter winds and out of reach of curious dogs, too. Now isn’t that just bird-iful? You should tweet about it!